time We are available over weekends and public holidays and school holidays for events such as kids birthday parties, adult parties or celebrations and special occasions. cost Cost will depend on the number of pupils or party-goers and the package. Party hire - high intensity trampolining at your own venue! 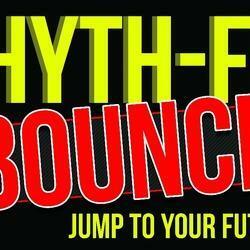 BRING THE MOST AMAZING FLAIR TO YOUR BIRTHDAY PARTY - HIRE RHYTH-FIT BOUNCE HIGH INTENSITY TRAMPOLINING . 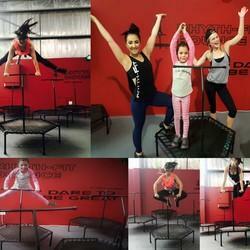 We offer High Intensity trampolining fun to all ages and fitness levels, kids, school groups and adults. Rhyth-FIT Bounce is one of those devilish activities that can help you stay fit without you even realizing! Each person has their own trampoline with t-bar and we design routines where we bounce to various music , rhythms and beats which is age appropriate . KIDS LOVE THIS, ADULTS AS WELL. Everyone is born to jump and this is why this is such a fun, exciting and unique activity. We have a studio in Roodepoort on Byers Naude drive. Our studio is disco themed with all the necessary lightning and smoke machines to create the perfect disco party vibe. We offer event opportunities at our venue as well as mobile party services. You never had this much fun before. MAKE YOUR BOOKING ASAP TO AVOID DISAPPOINTMENT. We design your own unique package according to your needs. Please contact us on the details above.